The Jeep brand means more than a reliable sport utility vehicle; they offer luxury package options that have transformed driving a Jeep from a weekend experience to the vehicle of choice for a daily commute. 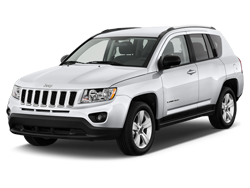 Their Compass, Patriot and Wrangler models complement the Cherokee and Grand Cherokee standards and have attracted more people to ownership. Taking care of a Jeep means having it serviced and repaired by a qualified Spokane Jeep repair and service technician. At Bob's Service Center, we know that while all cars are similar, each brand is unique. The way the Jeep works is what makes owners loyal, the performance and suspension is different from other brands of cars. We keep a stock of Jeep OEM and approved aftermarket parts so we can do your Jeep repair fast. After the technician has made the diagnosis, they will come out and explain what has gone wrong and what your options are for the Jeep repair. You can’t use one-size-fits all to repairing a Jeep, if you are using your Jeep under high stress driving conditions; you may need a heavier duty part than is typically recommended. When you have all of your Jeep repair and service done at Bob's Service Center, we will know what you need because we will know you and your Jeep. Call today and set up your appointment with one of our Spokane Jeep repair specialists at Bob's Service Center. We can get you back out on the road quickly and help you maintain your Jeep for the length of time you own the vehicle.